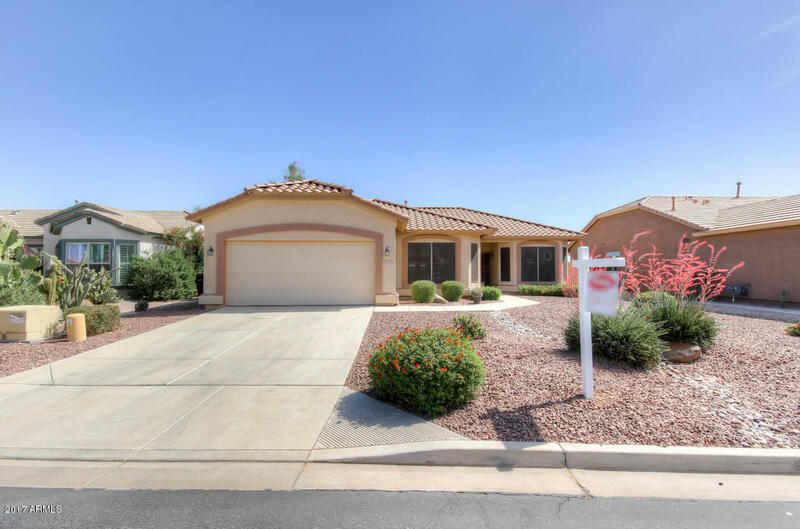 Popular Solera Daybreak floorplan in this fabulous 55+ Community! Great clubhouse with pool/spa and tennis! Lone Tree Golf course flows through out the community. Pride of Ownership in the split plan, 2 bedrooms plus a den/office, Kitchen opens to great room!Upgraded Cabintry,Granite counter tops plus appliances, low maintenance front and back with covered large patio! Lots of storage w/built in cabinets in garage and large inside laundry room with washer and dryer! Just the right size at 1,680 sq feet! Easy to care for desert landscape. Road ends in culdesac!